White Stuff have used an old favourite fabric and given it an updated shape! 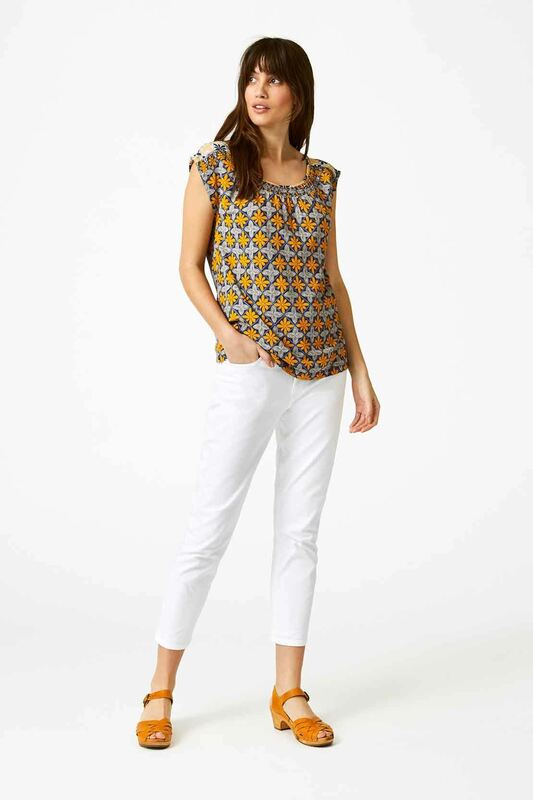 It features a modal jersey body and has woven detail at the shoulder and a flattering scoop neckline. Team with jeans for an easy-to-wear outfit.